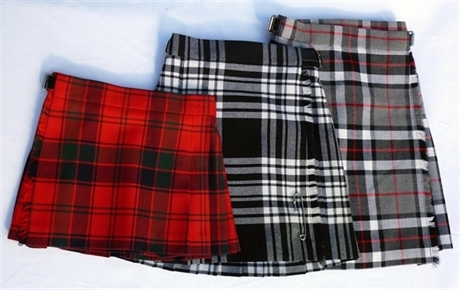 Range of childrens kilts in 60 stock tartans. Simple kilt Style. Elasticated waist. Left closing Apron Front. Knife pleats at back. We suggest you select by waist size and alter hem length by hand-stitching. Larger children and most Dancers may need to order an intermediate or full kilt. Stocks come and go, and limited to list below. 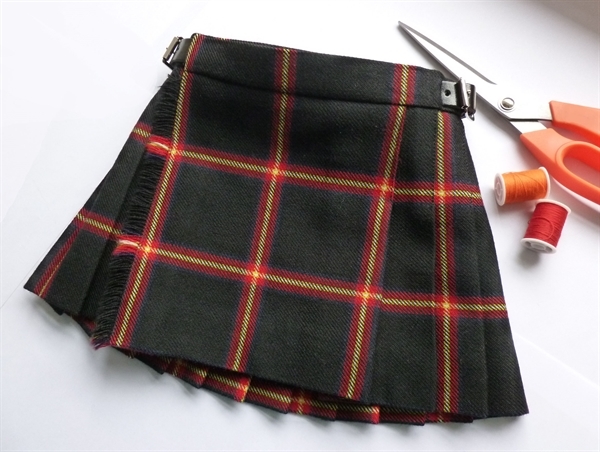 If your tartan choice unavailable here, you may need to order Kiddies Made-to-order Kilt. 1-2 yrs W 18-19" - L 12" 3-4 yrs W 19-20" - L 14" 5-6 yrs W 21-22" - L 16" 7-8 yrs W 23-24" - L 18" 9-10 yrs W 25-26" - L 20" 11-12 yrs W 26-27" - L 22"